Ever wonder how animals communicate using scent? Enter the flehmen response. 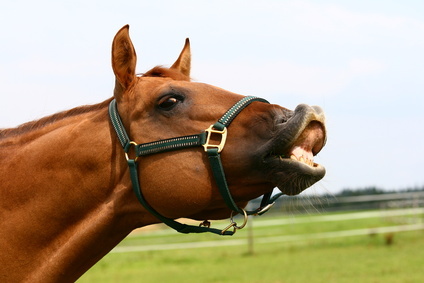 The flehmen response is a communication behavior utilized by many mammals to identify pheromones left by other animals. Male pumas may use the flehmen response at a scrape site where a female in heat has left her scent or to detect the presence of other males. Females actually use the flehmen response more and use this behavior to identify other pumas and for mate selection. Recently, we released a video of a mother puma walking around with her kittens at a scrape site. What followed that video was an uncollared female leaving her scent (spraying) which was followed by 36M leaving his scent and exhibiting the flehmen response to identify her (see video). While it looks like he’s sneezing in the video, he’s actually exposing an olfactory sensory organ much called the vomeronsasal cavity. 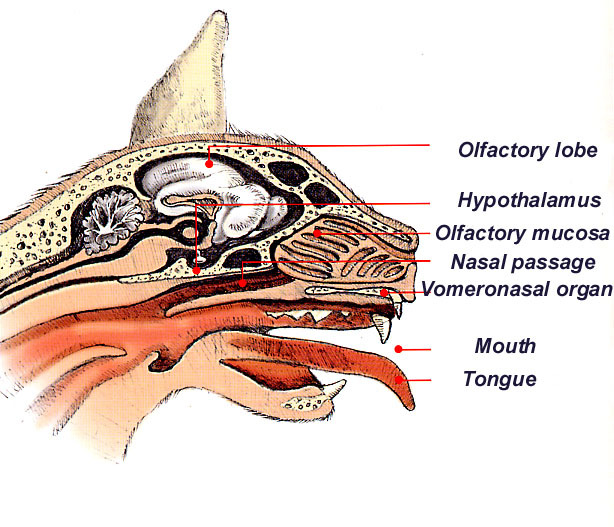 This organ specializes in pheromone detection (see pics) and is located right above an animal’s teeth. This behavior can also be seen in most ungulates, felids (including house cats), and even pandas!